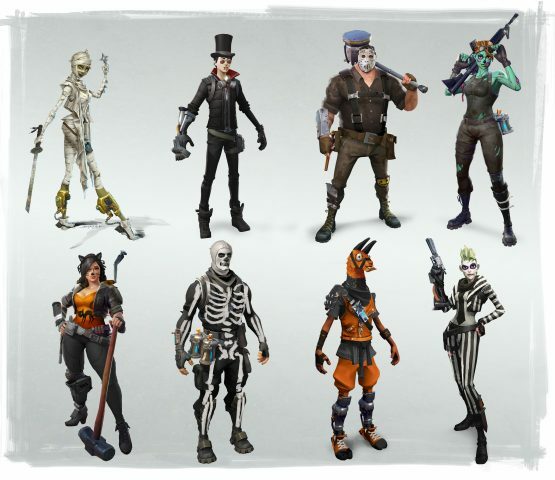 The folks over at Epic Games never seem to rest, and as the Horde Bash event is winding down, Fortnite is gearing up for another new event that will introduce a new zone, new characters, and new weapons to the game. Fortnite update 1.8 is scheduled to release on Thursday, October 26, and bring with it the Fortnitemares event. Here’s what Epic had to say about the coming update. We’re kicking off the spookiest time of the year in a big way with our Fortnitemares Event, which comes with a brand new zone – Hexsylvania. Get lost in the deep levels of the catacombs, the endless halls of flickering candles or the thick fog creeping across the map! Horde Bash will be departing on Thursday, Oct. 26 at 4:00 a.m. EDT. If you haven’t challenged the horde yet, try your hand and maybe grab one of the unique Scavenger Heroes! Eight new themed Heroes all getting into the Hexsylvanian spirit! Mark your calendars because the Fortnightmares will begin haunting your sleep starting on Thursday, Oct 26. And fear not, all existing currency from our Horde Bash event will be converted up to 1,000 scavenger tickets! As Epic notes, the Horde Bash event will be ending on Thursday, October 26 at 4 AM EDT, so you have less than 48 hours to get any heroes or weapons you wanted from that event. There will likely be a downtime that morning as Fortnite update 1.8 is launched alongside the release of Fortnitemares. Any remaining Horde Bash currency will be converted to regular scavenger tickets so it won’t be lost. We’ll keep you updated with the full patch notes for Fortnite update 1.8 when it releases on Thursday.